Tulsa, Okla. – The Dale McNamara Invitational, hosted by The University of Tulsa, begins on Monday with two rounds of 18 holes each, and concludes on Tuesday with the final 18 holes at the Tulsa Country Club. The tournament is free to the public. The course measures 6,112 yards and plays to a par 70. The nine-team field includes BYU, Cincinnati, Colorado State, Fresno State, Kansas, Missouri State, New Mexico State, Oral Roberts and host Tulsa. 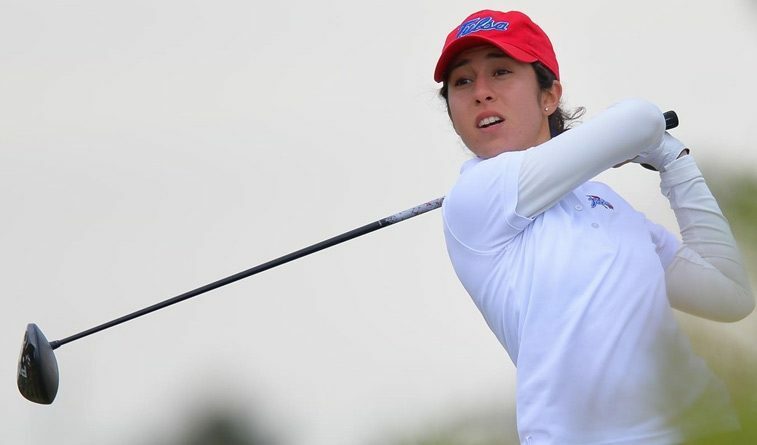 Among Tulsa’s eight participants, three are local golfers including senior Nadia Majidizadeh, from Tulsa’s Union High School, sophomore Mackenzie Medders, from Jenks High School, and true freshman Taylor Dobson, from Broken Arrow High School. Majidizadeh shares the team scoring lead with freshman Greta Bruner with a 74.8 stroke average. Majidizadeh is coming off of a career-best third-place finish at the John Kirk Panther Invitational for her sixth-top-25 performance of the season. Bruner, from Conroe, Texas, has also placed among the top-25 in six events this year with a season-best fourth-place finish. The tournament is named for legendary Tulsa golf coach Dale McNamara. McNamara coached 26 years at The University of Tulsa, and took the TU women’s golf program from the ground floor to national prominence, winning four national championships. Tulsa won two AIAW national titles, 1980 and 1982 under McNamara’s guidance, as well as the first-ever NCAA Championship in 1982 and another NCAA title in 1988. The Dale McNamara Invitational is the 20th regular season collegiate golf tournament that Tulsa has hosted since the inception of the women’s golf program in 1974-75. It’s the fifth Dale McNamara Invitational and the first since the 2013 fall season. In the previous 19 Tulsa-hosted tournaments, the Golden Hurricane has won nine titles. This is the first of the 20 tournaments that will be held during the spring season, as the previous 19 events were played during the fall. The Tulsa Country Club course served as the host site for the 1999 and 2014 NCAA Division I Women’s Golf Championship.